Dazzling waters, long stretches of white sand beach, and the splendid colors of nearby mineral cliffs typify Maceio, the laid-back capital of Alagoas state. Start off your visit on the 25th (Mon): browse the eclectic array of goods at Craft Fair of Pajucara, then kick back and relax at Praia de Pajucara, and then enjoy the sand and surf at Marape Dunes. 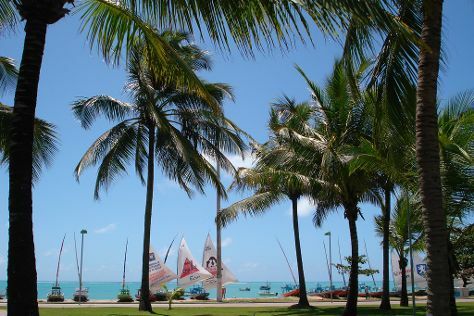 Use Inspirock's suggestions to plan your Maceio trip and find the best activities and attractions for your vacation. Expect a daytime high around 35°C in November, and nighttime lows around 24°C. Cap off your sightseeing on the 25th (Mon) early enough to travel back home.